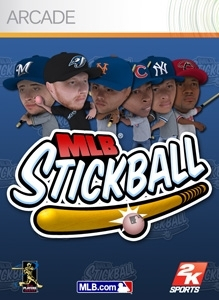 MLB Stickball was delisted on Xbox 360 no later than the end of December 2013. In an Xbox marketplace roundup post made by TrueAchievements.com on January 1st, 2014 the site mentioned that the game had been delisted some time in the month of December. The demo remained available for a time afterwards but as of July 2018 all pages for the game on Xbox.com have been removed. The game was most likely delisted due to expired licensing of MLB teams and players although its reception was generally negative. It is possible that low sales and popularity also played a role in 2K’s decision not to renew the license and keep the game online. Classic stickball: Experience the classic stickball spin on America’s pastime, featuring bounce pitches, rules tailored to each individual environment, and no gloves! Fun “stadiums”: Take your game on the road and play in uniquely American venues, from the streets of Brooklyn to the shores of the San Francisco Bay. Player cards: Buy packs of cards to unlock players and build out your rosters, or trade in duplicate cards for the player of your choice.